This is a sponsored post written by me on behalf of Foster Farms All Natural Sliced Turkey. As always, all opinions are 100% mine. 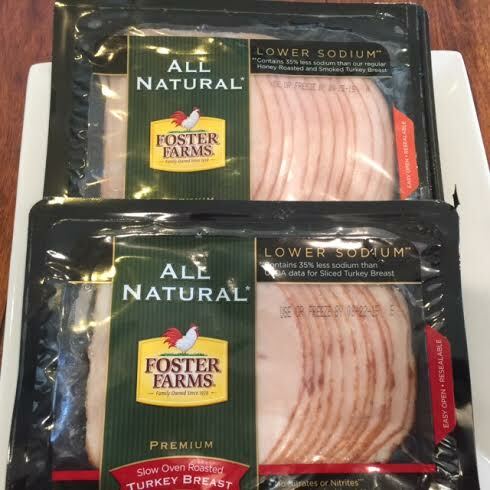 Foster Farms has healthy and delicious new All Natural Sliced Turkey lunchmeat and I made a special sandwich (see my recipe below) that got rave reviews! ……and delicious! My husband loved the sandwich I made but has also been enjoying the turkey lunchmeat rolled up by itself. It’s a tasty way to get more protein in your diet. Foster Farms All Natural Sliced Turkey is now available at your neighborhood Safeway, Vons and Raley’s. We tried both the Oven Roasted flavor and the Honey Roasted & Smoked flavor. It may be flagged with a tag telling you that it’s a new product. Ask for it if you don’t see it! 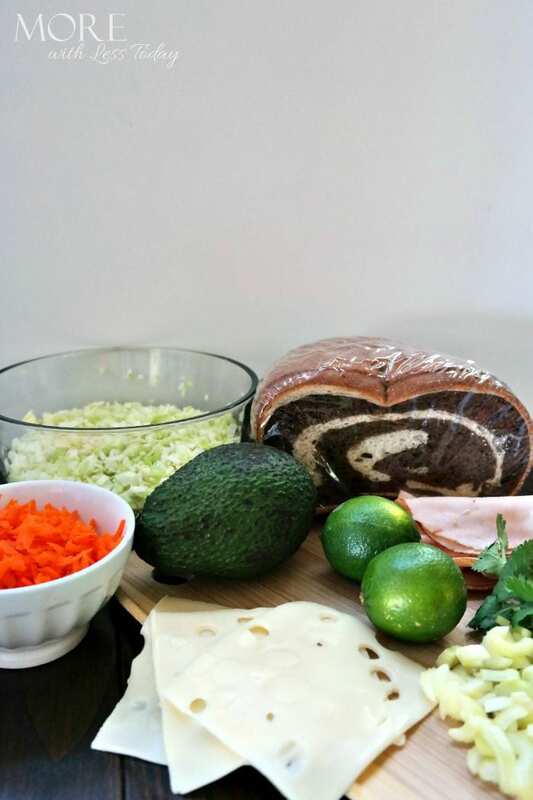 Try our original sandwich recipe using Foster Farms All Natural Sliced Turkey. 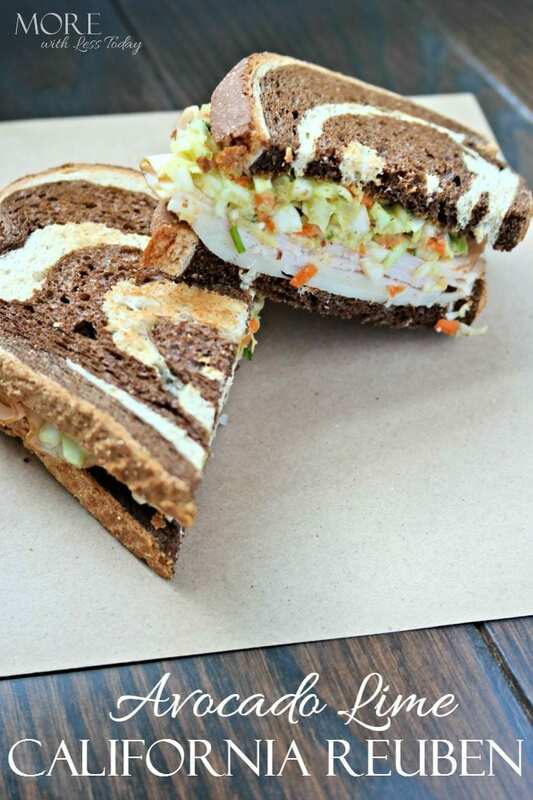 We call it the Avocado Lime California Reuben! 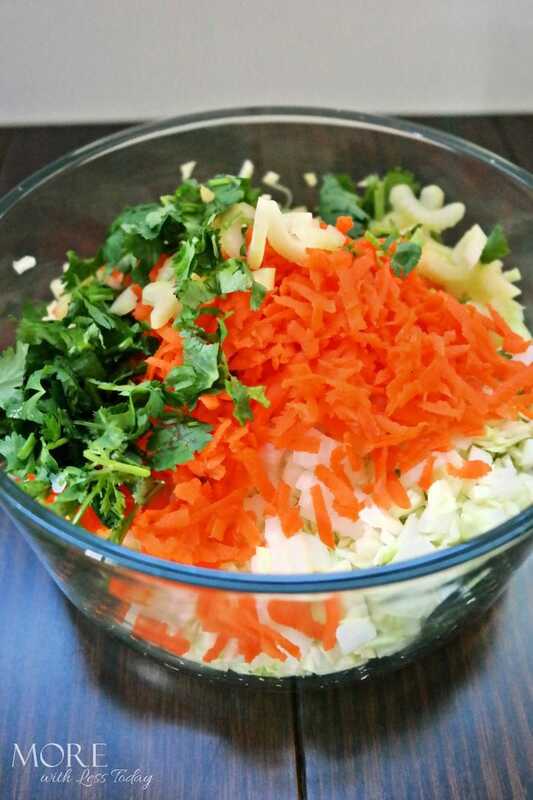 Combine cabbage, carrots, celery, cilantro, and onion. In a medium bowl, mash the flesh of the avocado with the juice of the fresh limes. Season with sea salt and pepper. 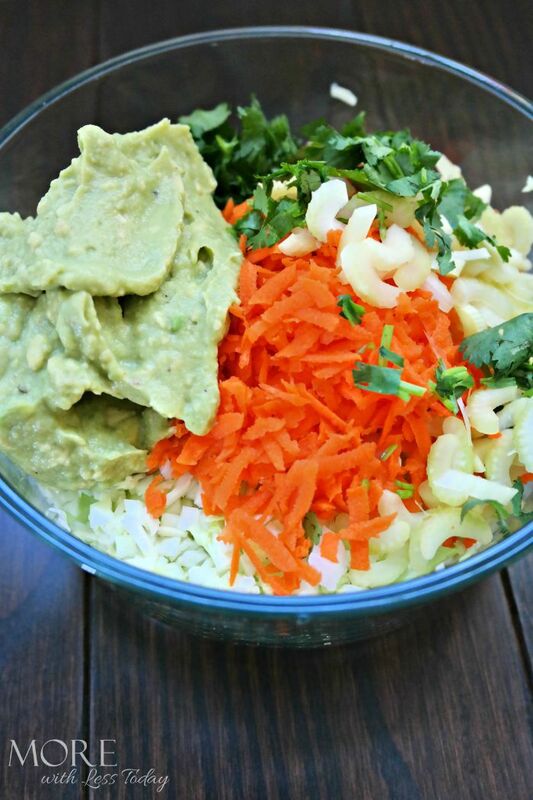 Add the avocado mixture to the vegetables, mixing well to create an avocado lime coleslaw. Add 4-6 slices of Foster Farms All Natural Sliced Turkey to the bread along with a slice of cheese. 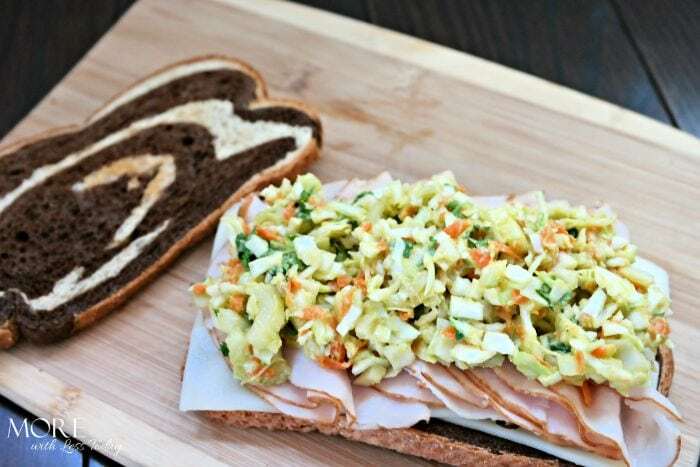 Top the turkey and cheese with the avocado- lime coleslaw and another piece of toasted bread. Enter Your Creative Sandwich Idea and You May Win a Fabulous Trip! 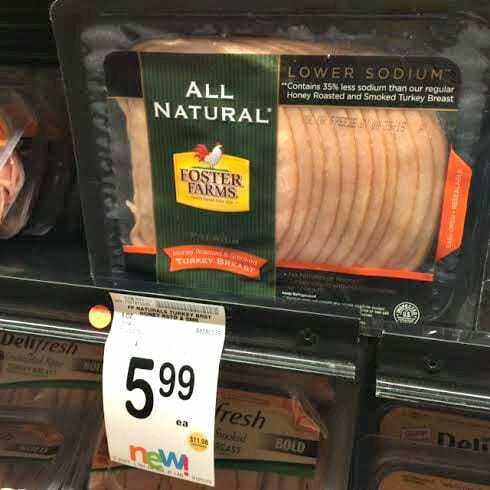 Foster Farms is holding a sandwich-making contest to prove that sandwiches made with new Foster Farms All Natural Sliced Turkey lunchmeat are anything but “basic.” The Don’t Call Me Basic contest is looking for the most creative turkey sandwich creation. The grand prize winner will receive their choice of a luxury weekend getaway for two to the gorgeous Napa Valley or $4,000 cash. The grand prize includes a two-night stay for two at a Napa Valley luxury hotel, travel to/from, and a gourmet picnic lunch ($4,000 value) or $4,000 cash prize. Random weekly drawings will be held every Friday to give all participants a chance to win. Prizes for the weekly drawings will include high-end Panini presses or gourmet picnic baskets. The contest will last the month of August (National Sandwich Month) and is open to all U.S. residents over the age of 18. If you don’t have Instagram, entries may also be emailed to dontcallmebasic@fosterfarms.com. For more details on the contest and the official Rules & Regulations, visit www.fosterfarms.com/dontcallmebasic.pdf. Save a dollar and download your coupon here. We are big sandwich eaters in our house. They are fast, easy and healthy. Your sandwich looks great. I think a California Reuben sounds delicious! I will have to try the new turkey lunch meat. What an interesting sounding sandwich! My brother loves avocado and turkey so I bet he’d enjoy this. Your sandwich looks amazing! I love making fancy sandwiches for dinner and having the best ingredients is so important! I love Foster Farms products. That sandwich looks extremely good! I don’t think I’ve ever tried their lunchmeat before, but I’ll be trying it soon! It looks so good. That looks so good. My son prefers sandwiches for his school lunches. I’m sure he will love this.